The Korean giant’s latest image sensor is an 8.4-megapixel CMOS monster that is certain to end up in the newest mobile phones worldwide by this time next year. We’ve seen larger, but none so shapely, of course. Samsung says it’s also suitable for digital cameras and camcorders and that the market for CMOS sensors over 3 megapixels will grow annually by more than 90 per cent to 2009 as they displace the now-common CCDs. The new CMOS chip is likely to gain widespread acceptance mainly for its high signal-to-noise ratio and low power consumption. 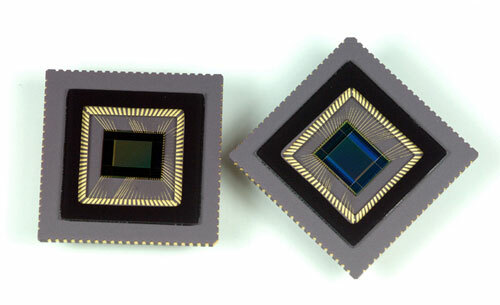 The company reckons it consumes just one tenth of the power used by CCD sensors while producing the same image quality. That’s all very well, but – as any savvy photographer will tell you – there’s far more to decent image quality than the number of megapixels on a flashy new sensor. Until cameraphones and low-end digital cameras come with equally highly rated lenses, the numbers on the label will count for very little.